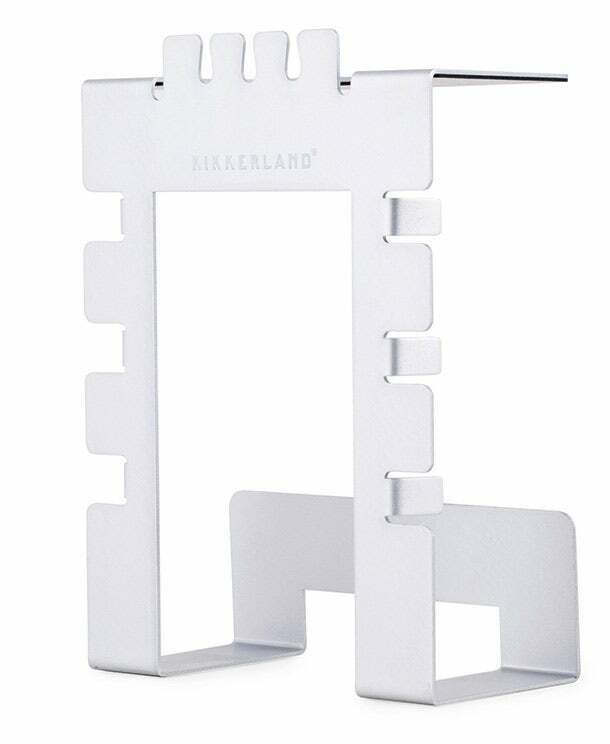 Kikkerland's annual design competition results in an unexpected bestseller. Dutch design firm Kikkerland is known for bringing whimsy to utilitarian products -- say, a cocktail shaker in the shape of a maraca, or a portable barbecue in the shape of a suitcase. So it was surprised when one of its most successful products of the past year was a… cord organizer. The product, the Cable Loft, was born out of Kikkerland’s annual Design Challenge, in which the brand partners with a retail company and a team of student designers, who submit problem-solving ideas for one particular challenge. For 2016, the challenge brought together The Container Store and students from the Rhode Island School of Design, who were asked to create a product for the digitally connected home. Students went through multiple rounds of presentations and critiques before final prototypes were submitted to buyers for consideration. Cable Loft -- an organizational home for a power strip and the many cords that plug into it -- was deemed the winner, and its student designer received a licensing agreement and a 5 percent commission.